Do you love Deep Dish Blackberry Cobbler? We do! One of my favorite things in this world is blackberry cobbler. I love it! I can eat it anytime, anyplace, anywhere. I used to make this when I lived on the farm with fresh blackberries right out of the patch and I would get up in the night to have more of it! I could not leave it alone then and I still can’t today. I make mine a little different from most people, too. Mix berries, butter, cornstarch, sugar and water together and bring to a slow boil on stovetop. Let boil a couple of minutes, turn off stove and let cool. This will not be thick. In a large bowl with a spoon mix together the flour, salt, oil, milk and sugar until makes a ball. Pinch off pieces of the dough and roll out as thin as possible. Spray a cookie sheet or flat pan with cooking spray and add pieces. Cook in a preheated 400 degree oven for about 10 minutes until brown. You will probably make about 3 pans of these pieces of cooked pastry to total 12 to 15 pieces depending on the size you make them. Once you have cooked all the pastry pieces start layering them in a serving bowl ladeling the berries over the dough. Once you have finished put the cobbler in the refrigerator for several hours or overnight. The pastry will soak up all the juices from the berries. Serve with a big scoop of ice cream and this can’t be beat for a dessert. Enjoy! This is a classic recipe for deep dish blackberry cobbler. It is a family favorite. Mix berries, butter, cornstarch, sugar and water together and bring to a slow boil on stove top. Let boil a couple of minutes, turn off stove and let cool. This will not be thick. In a large bowl with a spoon mix together the flour, salt, oil, milk and sugar until makes a ball. Pinch off pieces of the dough and roll out as thin as possible. Spray a cookie sheet or flat pan with cooking spray and add pieces. Cook in a preheated 400 degree oven for about 10 minutes until brown. You will probably make about 3 pans of these pieces of cooked pastry to total 12 to 15 pieces depending on the size you make them. Once you have cooked all the pastry pieces start layering them in a serving bowl ladling the berries over the dough. Once you have finished put the cobbler in the refrigerator for several hours or overnight. The pastry will soak up all the juices from the berries. Serve with a big scoop of ice cream and this can’t be beat for a dessert. Did you know that we have over 1000 recipes on our site? Here are some of our most popular. Don’t Forget to Pin Deep Dish Blackberry Cobbler! You’re so welcome Sue! Please let me know what you think when you do make it. It’s definitely a classic. Have a wonderful week. What’s the red berries in the picture? I’ve just curious as I’ve never seen red blackberries. Those are wild blackberries I used in that recipe. Sometimes, they look more red than black if they are not totally ripe. For me it’s all about the toppings and crust and pie dough if they are good any filling will be.. The dough recipe you show for your Deep Dish Blackberry Cobbler reminds me of what my grandmother always made and simply called “Shortcake.” She would bake rounds which were similar to pie crust and layer them in a flat soup bowl with chilled sugared berries either blackberry or strawberry. I’m going to try this recipe and see how close it comes to her version, which I have not been able to find duplicated anywhere before. Thanks for posting!! I agree. When my husband brought me up north….cobblers up here were nothing like Texas. The cobblers were way too “cakey”. Being from the south born a mile from the Georgia line my Grandmother and Mother have always made all their cobblers like this and I’m so happy you put this here for everyone to use it also. 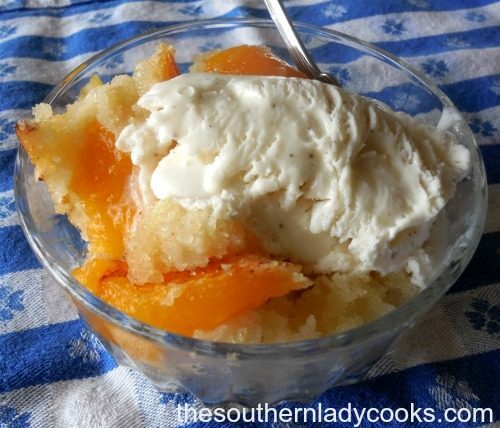 To me its the best way in the world to make a delicious cobbler everyone will love. Thanks for putting such wonderful recipes here for us and most of all for being a southern belle like me! Ya’ll put more em’ in here ya hear? Linda. My hubby, who is enjoying baking in retirement, made this today and it was incredible. The best cobbler ever! He left a comment earlier but I cannot find it. Great recipe. In retirement I stay at home and do most of the cooking. I picked several cups of wild blackberries along the side of our lot with the intention of making a pie. That’s when my wife sent me this recipe link to try instead. 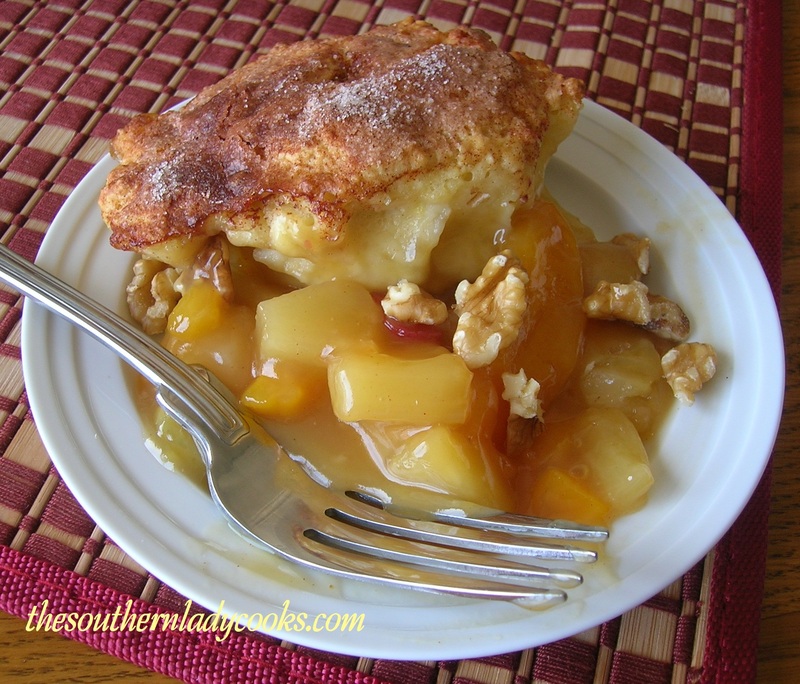 I have never made a cobbler, but this recipe is easy to do and follow. As it turned out I had extra berries and 2 pieces of pastry remaining with the 1.5 quart covered dish that I used, so not being wasteful that became an early treat. I’ll have more with vanilla ice cream after dinner with the wife. Very good. Thank you. So happy you all enjoyed this recipe Greg. Love to get comments from men who like to cook. Keep up the good work and happy to have you on my site. My Mom made Blackberry pie this way but she took the seeds out and then put just a little thickening in the berry juice with the sugar and cooked it a little till it boiled good & pour it over that baked crust, talk about delicious, brings back wonderful memories. Thanks for reminding me how good blackberry pie is this way. My Mother made a dish close to this, growing up in Southeastern KY we called it “pie” I didn’t know what pie with a crust was when I saw it, because Mommy always made hers this way. Black berry, raspberry and my favorite rhubarb. The difference was she made a biscuit type dough and flattened it out real thin with the back of her hand, they were kinda oval and when they were done and browned she stacked them like yours in deep a bowl and pored the berries or rhubarb with the liquid over them and after it soaked in it was heaven. I don’t remember if she would put sugar in the dough or just sprinkle a little on top of the biscuits but I know they were very tasty if you were able to snag one. 🙂 thank you for sharing this it sure brings back memories form long ago. This sounds like my grandmother’s cobbler. No one remembers ever seeing how she made it, but the results look similar. Thanks……will try. Have you ever made the dough part more like a dumpling? How would you do that? I have not made it like dumplings. Do you have a blackberry on using just the thickened juice. I don’t have one just using juice, Ruby. Hmmmmm….sounds quite different and surprising for some who have not seen this before, like me! I thought as I was copying the recipe, about cooking the dough on my electric griddle; then I decided I’d probably like the texture of the dough better baked in the oven. We’ll see. I’m sitting here adding this recipe to my collection and I’m still drooling over the Peach Cobbler! Get a grip, girl, the calorie meter just blew a fuse! It is just as good as it sounds!! Made it and loved it…just couldn’t eat as much as I wanted to (am diabetic). Been looking for something like your recipe for years…..my Grandmother made a cobbler like this, but no one remembers her recipe. This may be it! Thanks! Judy, had 3 of my grandkids for supper last night and made spaghetti and your blackberry cobbler. To say they were a hit is an understatement for sure! NO spaghetti left (maybe a half cup of sauce) and only about 3 or 4 spoons of the cobbler. Had some good vanilla ice cream for it nd they wolfed it all down like it was their last meal. This is one fantastic recipe and for sure will use if often. Thanks! Hi Margaret! So glad your family enjoyed the meal and the recipes. Thank you so much for letting me know it went over so well. Made this today with fresh raspberries..delicious! Best cobbler EVER!!!! I want some!!! Best cobbler ever!!! Love your cooking Mom!